Amazed with Pinterest design and looking for something similar on WordPress? You are in luck! Pinterest might not be as good as Facebook or twitter, but it is popular nonetheless. Popular amongst designers and visual artists, it features a pin board like user Interface that allows users to save the work they like and share it with their friends. Now you might not use Pinterest, but like the design and want something similar for your site. The features you might want are the pin board like design and the infinite scrolling. Well this is your lucky day, we have compiled a list of some of the best Pinterest-style WordPress Themes for you. Not only do these themes allow you to adopt the fluid dynamics of the Pinterest design, they also allow you to customize the designs as much as you want. You can have any kind of content, customized and placed inside these Pinterest-style WordPress Themes. Without much hassle you can control your content, customize it or better yet personalize it, so go ahead. Take a look at the collection, and maybe you’ll find the look you wanted for your website all along. Stacker is a “Pinterest” style Portfolio WordPress Theme that allows you to showcase your work with an elegant column-based Portfolio. Stacker is idea for Photographers, Artists, Designer and anyone who wishes to create an elegant gallery of images. Stacker offers options for number of columns of images to display on the homepage. The homepage uses a masonry style layout and lets you add images of any size and they will be resized and the layout will fit them accordingly. With Customizer, you can easily to edit your theme colors, choose the number of homepage columns, upload background images and so on. Stacker acts responsively and scale to any screen size. Pinmaister is a modern Pinterest-like WordPress theme, it was crafted to be 100% pixel crisp on all retina screens, and on Drag & Drop Homepage, build your website’s homepage exactly the way you want. It features a multitude of appearance settings and combinations, as well as powerful customizer options and custom widgets, which allow for truly unique layouts and complete power over your website functionality. “the Love it button” drives your users’ engagement by allowing them to “Love” your posts. The theme is Speed optimization to help your website to load fast in order to rank higher in search engines. Elastik is a beautiful theme that will display your posts in a fluid grid, using jQuery Masonry technique. The theme’s look and feel is very easy to customize to fit your style. Pinboard is a Pinterest-styled WordPress theme released by MyThemeShop that is 100% free. With a grid layout and lots of built-in features, Pinboard also has unlimited backgrounds and color schemes and is fully customizable. Plus, it’s built with HTML5 and CSS3 and is fully responsive. Grab it today! The Gallery theme has been rewritten from the ground up to be faster and easier to personalize. WP-PinUp is a Pinterest-inspired style WordPress theme with fully customizable features. Built on a Responsive design framework, WP-PinUp adjusts to any mobile device. 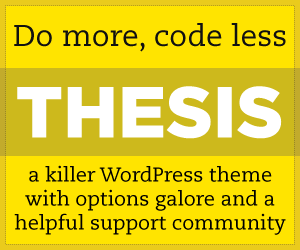 With the PinUp Style, you can easily change the font and colors for various content in posts. CoolBlog is a modern, responsive and ultra-fast WordPress theme suitable for personal bloggers, news or magazine site. It comes with clean and minimalist design, and also carefully crafted with SEO and Adsense optimization in mind. With CoolBlog, your site will stand out and successful! Everest is a beautiful modern Blog WordPress Theme with beautiful clean, Retina and Responsive design and powerful admin options. You can post audio, video, photos and share with friends. It comes with post formats (video, audio, image, gallery, standard, aside, link, quote, status), You can choose from four types of models home page, 9 post formats, background colors or upload an image, change fonts, and more features. Exposition is a beautiful responsive blog style WordPress theme, it is perfect for long-form writers and photographers who wish to let their work stand out in an attractive setting. It was designed for simplicity – attractive typography and whitespace gives plenty of room for your work to stand out and do the talking. Felicita is a powerful and clean Blog WordPress theme with Retina Ready and responsive layout, It comes with great features such as 8 post formats (image, audio, video, gallery, standard, aside, link, quote), and lots of theme options to make your content outstanding. TheStylist is a Beauty Blogging WordPress them, it is well crafted specially for makeup blogs, hair blogs, fashion websites & general feminine blogs, makes your site professional look to showcase your content.